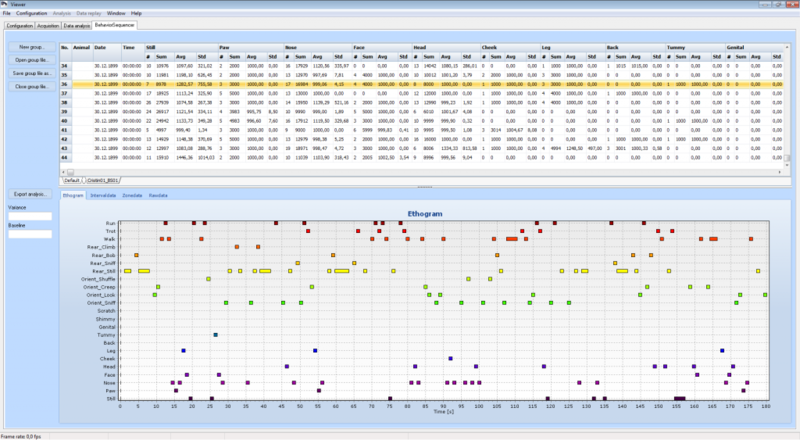 The data analysis provides statistics for each behavior which can be grouped by treatment. An easily exported and colorful ethogram for each animal provides an expressive visualization of scored behavior sequences. All data can be exported in various formats including Excel® and text files. 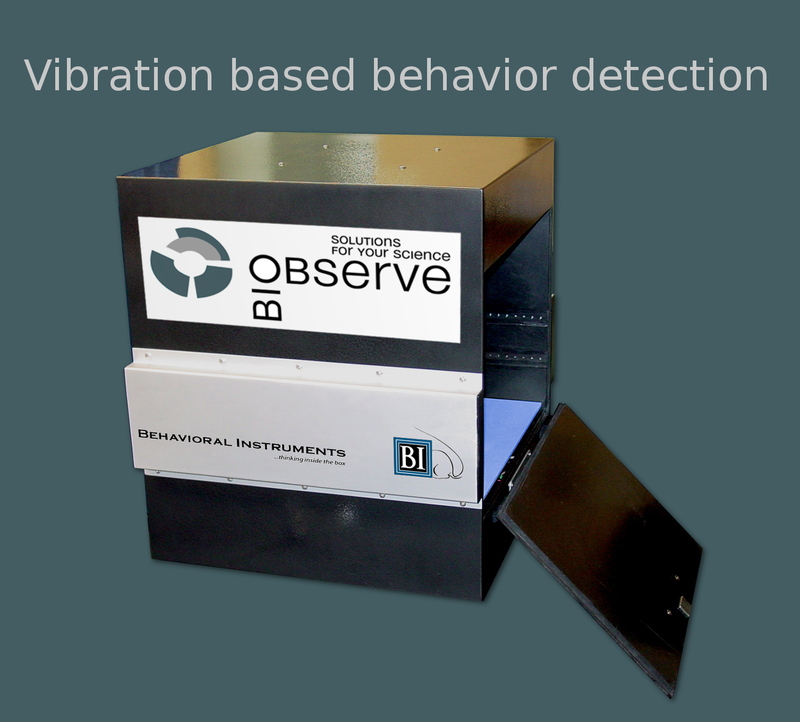 The system has a built-in reference list of behavioral vibration patterns. Additionally the user can visually identify behavior sequences and train the system to score them automatically. In our initial validation study conducted at Rutgers University (Department of Psychology) twenty behaviors were scored by two expert observers and the Behavior Sequencer.